Rigatoni melanzane (eggplant, napoli, garlic and fresh basil). 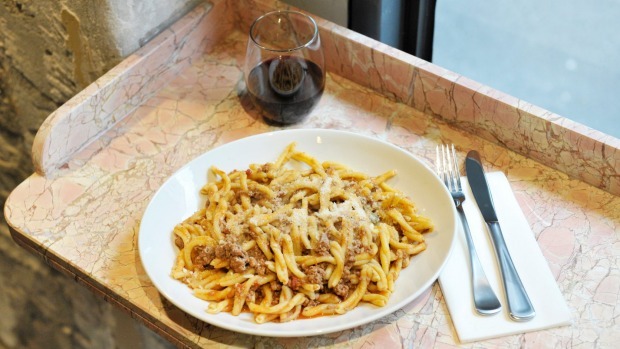 You might question whether Melbourne needs another place to eat pasta until you duck into Collins Way to come upon the instant vintage vibes of Pentolina. Pink marble, carefully scruffy walls and moody pendant lighting are an evocative setting for Matt Piccone's first restaurant. 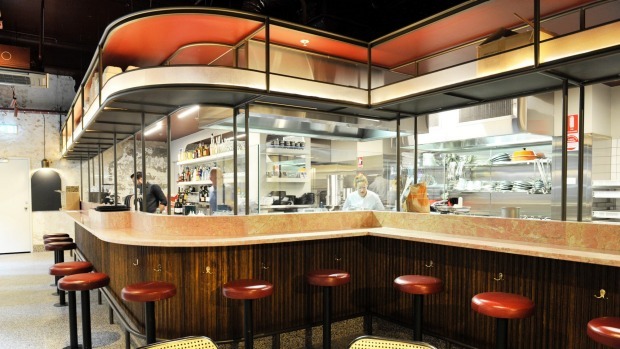 A barista at Pellegrini's for 19 years, Piccone has long had a hankering to recreate the pasta of his Pugliese parents. "They taught me how to cook," says Piccone, who worked with his father at Piccone's Pasta Pronto in Sydney's Roselands Shopping Centre. The store opened in 1994 and is still going strong. Matt Piccone does some things just like his parents, most notably a radical onion-free bolognese, made with eggplant, zucchini, beef mince and a dash of vermouth. "A lot of people wouldn't agree with me but that's how my mum and dad taught me," he says. On the other hand, he's diverged from family lore with his pasta, using an egg-free mixture of semolina and water to create around 20 different dishes each day. Gluten-free pasta is also brought in. Piccone is a big rap for his signature fettuccine Pentolina, with prawns, scallops, brandy, cream and roe. He also urges people to try the casarecce with radicchio and anchovy. 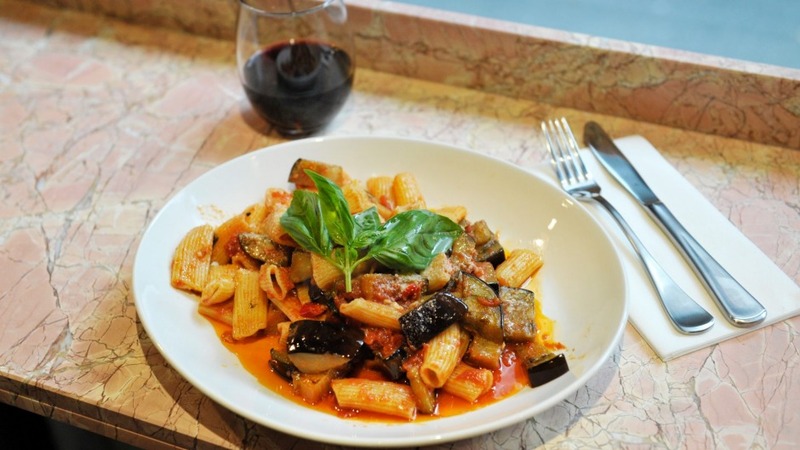 A feed me menu helps the indecisive: $50 a head includes a selection of pasta dishes, nibbles and dessert. Currently overseeing the kitchen, Piccone is looking forward to getting onto the floor to welcome customers, as he did at Pellegrini's for two decades. "People would walk in and say, 'Matt, look after me.' They trusted me. That's what I want here. I want people to walk in, ask me what to try, and I'll get them something they'll love." Open Mon 11am-3pm; Tue-Sat 11am-10pm. Pink marble, carefully scruffy walls and moody pendant lighting create instant vintage vibes at Pentolina.